Together with Spirit Halloween stores, Lifespan Brands held an art contest for kids in hospitals across the country during their Spirit of Children events in October. Spirit Halloween stores provided costumes for all of the children and their families, pumpkins to paint and other fun, spooky Halloween activities. 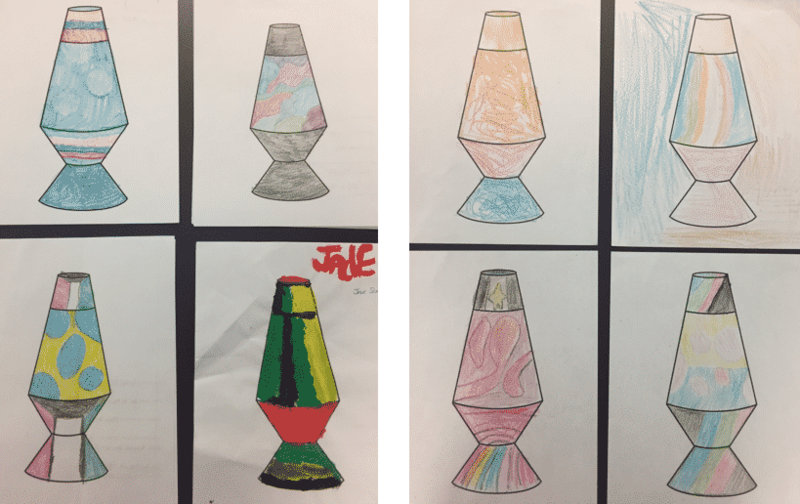 Lifespan Brands provided blank Lava® lamp pictures for kids to color, paint and bedazzle with glitter to make their very own custom lamps and enter in the competition. 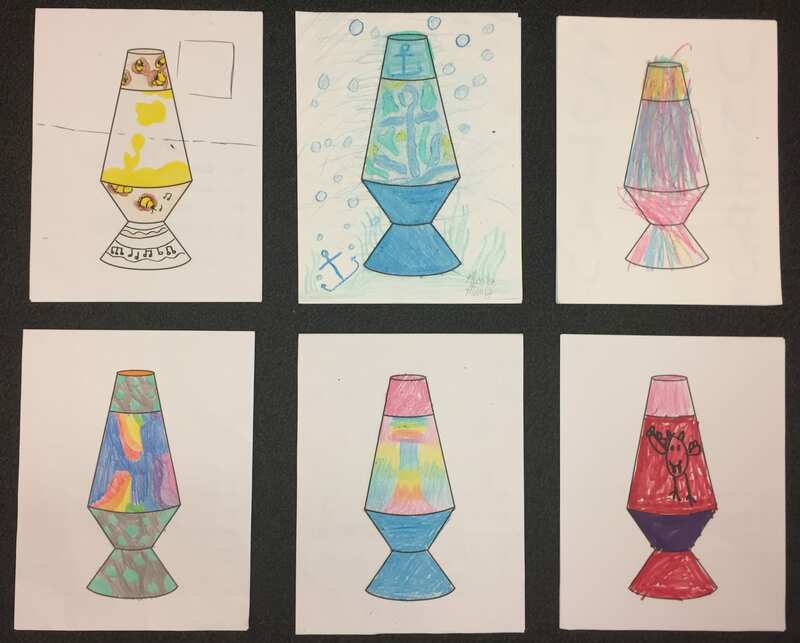 Lifespan Brands received almost 100 wonderfully creative Lava® lamp pictures from kids who are patients at children’s hospitals around the United States and Canada. We must say, ALL of the pictures were so great! 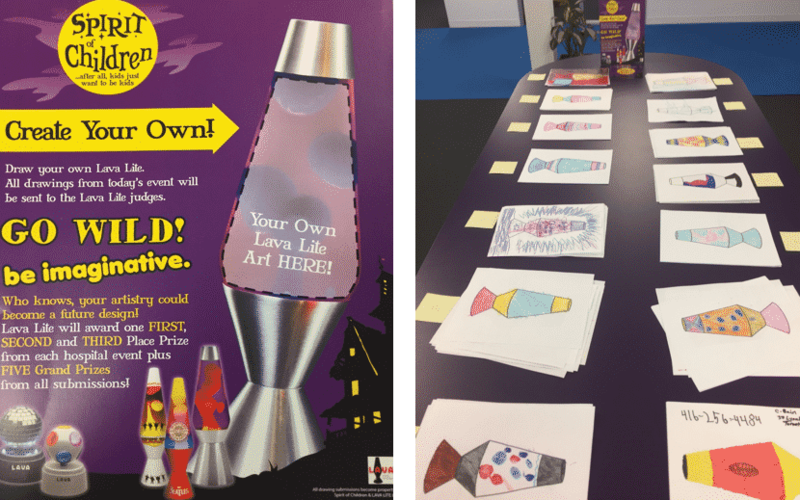 Lifepsan Brands staff loved seeing all of the colorful and imaginative ways that the kids decorated their Lava® lamps! There were bugs, animals, nature scenes, monster faces, rainbows, geometric designs and many more. It was very difficult to choose winners and we congratulate all of the kids who submitted their beautiful artwork. We wish we could give prizes to everyone!! Here are this year’s winners, who will each receive the Grande Lava® lamp of their choice. And we wanted to share more of these great pictures by children who definitely deserve honorable mention. But then, ALL of these kids, who somehow manage to maintain a happy and positive attitude while staying in the hospital during Halloween and the holiday season, deserve more than an honorable mention! They have earned our respect, touched our hearts and deserve the best health care from the childrens’ hospitals where they are being treated. Their families who support them throughout their sicknesses, take care of them and sacrifice so much for the kids are also truly inspiring. It was an honor for Lifespan Brands to be a part of the Spirit of Children events and so heartwarming meet these sweet, adorable kids! During this Thanksgiving and Christmas time, please think of all of the sick kids across the country and consider volunteering or making a charitable contribution to help them out. And also, remember to be thankful for your family’s health! We wish all of the kids a speedy recovery and a happy, healthy holiday season!! Founded in 2006, Spirit of Children helps make hospitals less scary for kids and their families by providing fun during Halloween and funding all year long to Child Life Departments within children’s hospitals. Each year with the help of our vendor partners, Spirit sponsors and hosts Halloween celebrations in children’s hospitals across the United States and Canada. Members of the Spirit field team bring everything needed to have the best party possible from costumes and decorations to goody bags. Everything brought to the hospitals is donated by Spirit and our vendor partners. It’s a remarkable event that touches thousands of pediatric patients and brings countless smiles and laughter to children who might otherwise miss out on the joy of Halloween. Additionally, throughout each Halloween season all Spirit stores conduct in-store fundraising campaigns. Last year alone we collected $7.2 million cash and merchandise donations. We have raised over $29 million for over 130 children’s hospitals since 2007. What makes this program so unique is that at the end of each season, every dollar, 100% of the money collected in our stores or donated by our loyal and passionate customers and vendor partners is given to the Child Life departments. Spirit of Children chooses to partner with and support Child Life whose main function is to provide developmental, educational and therapeutic support for children undergoing medical treatment. Trained Child Life Specialists help children and their families cope with the many stresses involved when a child is in the hospital. While each hospital is unique in their needs, the money we collect and donate to child life has been used to purchase such educational and entertainment items as: Laptop computers, iPods and iPads, Flat screen TVs, medical education dolls and equipment, and toys designed specifically for children with physical challenges. In addition to toys and equipment, money raised has been used for such things as: funding field trips, adding staff to keep playrooms open longer and on weekends, developing rehabilitative art programs and weekly music therapy programs.